OH BABY! It’s a GIRL! Okay, is there anything more fun than a baby shower? I mean there are little tiny dresses, books and toys to be gifted, lovely snacks and some total girl time with your friends and family! This shower was a special one for me because it was for a good friend who is expecting her first! The invitations came in the mail and were the inspiration for this cake and cupcake display. The rest of the inspiration came from the gals who were planning it. When I take a cake order, I don’t just ask what you want and write it down… I ask what overall look will be in the room, how you plan to have guests enjoy the cake (cutting it on plates with forks or just napkins for cupcakes?) and what flavors you’d like. 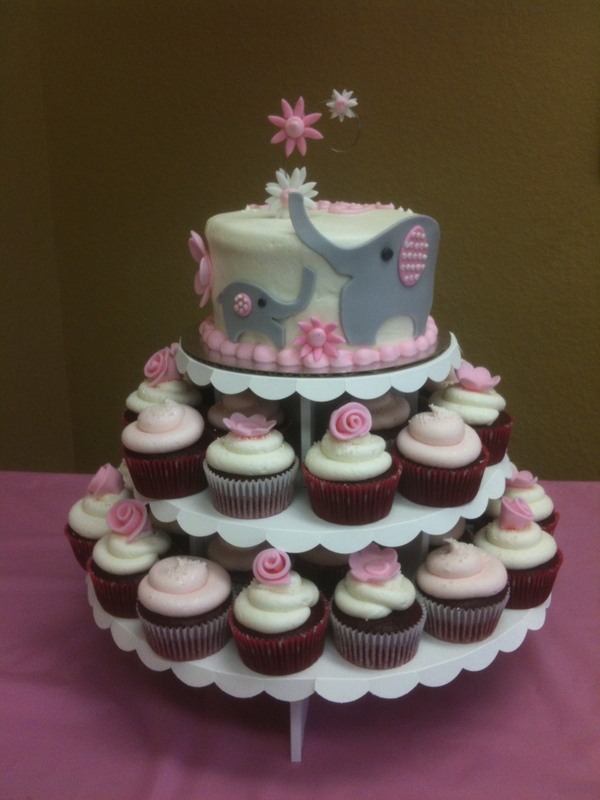 For this cake, red velvet was a must have, cupcakes for the guests and a cute 6″ cake for the mom-to-be to take home and share with dad-to-be! 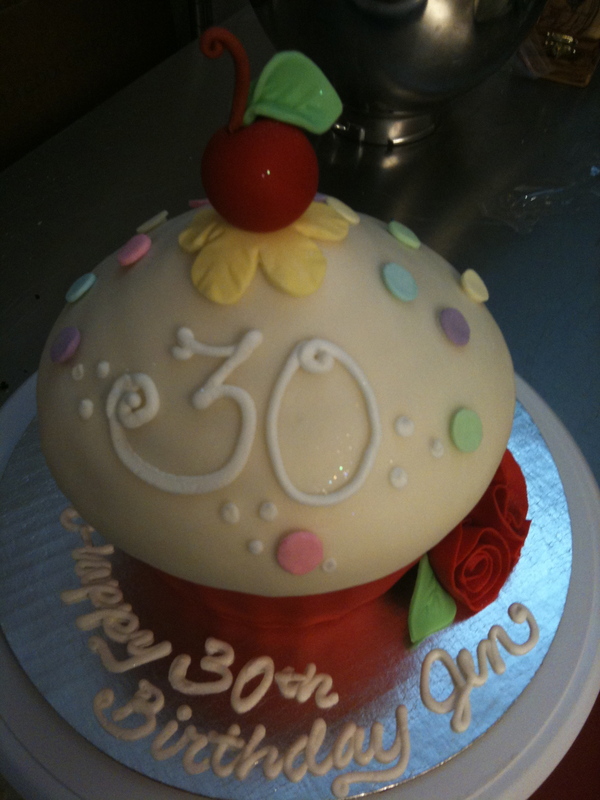 The cupcakes were decorated with a variety of pink fondant flowers to match the cake. The stand is something you can either rent for the afternoon or order-to-keep through us! 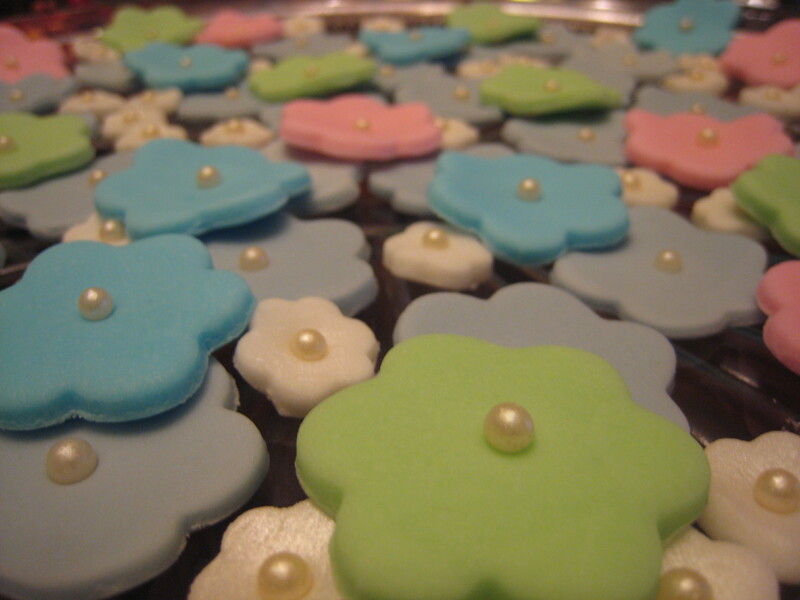 With a cute cupcakes and cake display, your shower will be even more special and memorable! Welcome to the world, little baby Quinnlyn! Born on ‘labor’ day weekend, this baby was a very special treat so we celebrate this wonderful day with lots of love, family and cupcakes! 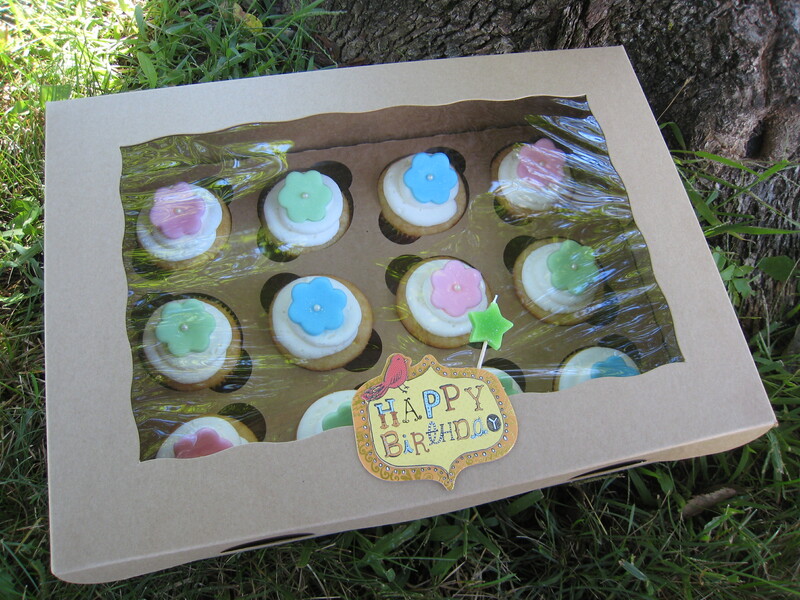 Cupcakes are the perfect treat to share with family as they line up to visit your new baby in the hospital. 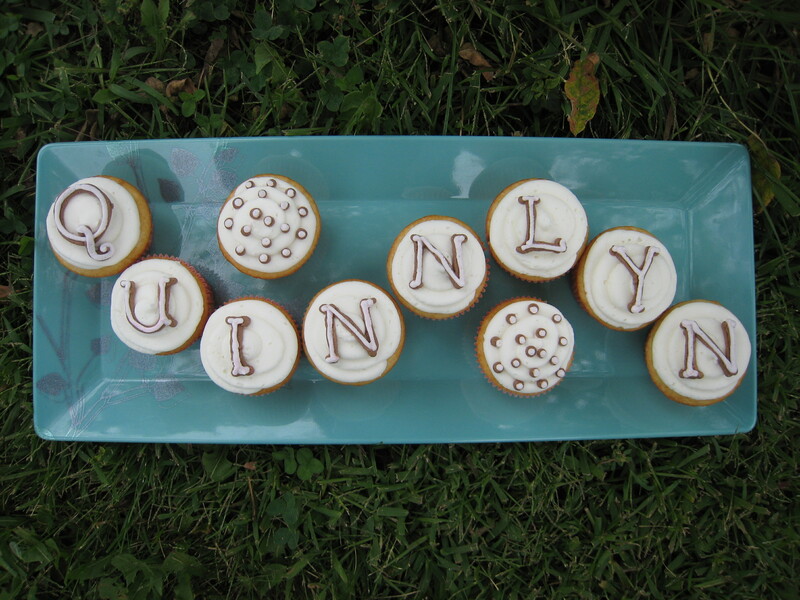 The cupcakes pictured are each made with fluffy white cake, filled with just a bite of chocolate buttercream and topped off with fresh white buttercream and a letter of baby’s name! Be creative and order baby’s first name, full name or even their name with birthday. It’s a treat to celebrate a new family member, isn’t it?